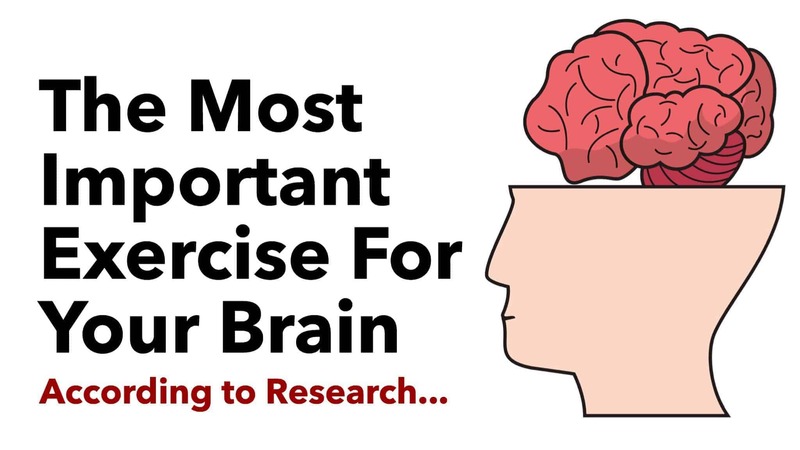 But have you ever wondered what the best type of exercise is for your brain is? The answer: any exercise that gets you moving, gets your heart rate up, and breaks a sweat using repetitive motion – in other words, aerobic exercise. The science supporting the link between aerobic exercise and brain health is well-documented. The benefits of regular aerobic exercise on the brain are numerous as well; all of which are attributed to behavioral and chemical changes that take place. First, we must look at the neurochemical mechanisms of aerobic exercise. Exercise that engages the lungs and increases circulation – as aerobic exercise does – decreases the body’s levels of stress hormones, such as adrenaline and cortisol, which explains why any aerobic exercise is effective at relieving stress. Further, aerobic exercise stimulates the production and discharge of endorphins – brain chemicals that serve as the body’s homemade mood elevators and natural painkillers. The “runner’s high” – a sense of euphoria after the body’s been pushed – that many people experience after a grueling workout are due to this release of endorphins. After a short period, the behavioral changes via positive reinforcement will become apparent. In other terms, you’ll not only notice a trimmer waistline and a renewed sense of strength and stamina but an improvement in your self-image and self-confidence. This positive behavioral feedback will quickly improve your quality of life; pushing you to set and achieve any current and set goals. The benefits of aerobic exercise on the brain are numerous and diverse, in both the short-term and long-term. Of course, acquiring desired benefit(s) from aerobic exercise is highly dependent on the frequency and duration of activity. Age is also a factor regarding aerobic activity and benefits. The most dramatic benefits of aerobic exercise on the brain are a result of regular, consistent activity. Another factor affecting long-term benefits is the level of physical exertion during exercise. For example, 30 to 45-minute HIIT sessions performed over three months produces different benefits (and to a different degree) than a 30 minute, moderately-paced jogging regimen over the same period. In a study conducted by researchers from the University of British Columbia, scientists discovered that regular aerobic exercise increased the volume of the hippocampus, “a key part of the inner brain involved in forming, storing, and processing memory.” Promisingly, the greatest benefits were observed in older participants with mild cognitive impairment (MCI), which is often an antecedent of dementia.